Whether I'm shopping for my family, my friends or myself, I'm one of those people that has to get a good deal. It's just not nearly as fulfilling if I pay full price when I know that I could have used a coupon or found a sale, right? Fortunately, in today's world of technology, there are more and more ways to find the best deals and offers... many requiring just about zero effort on our part. One way to make a deal even better is for it to be handed right to me! Which is why it's a no-brainer that a better way to save money when shopping online can be found right from Savor. Passionate about improving the experience of saving money when shopping online, Savor is an app that creates curated coupon catalogs personalized to each user. That's right, coupons selected specifically for you! 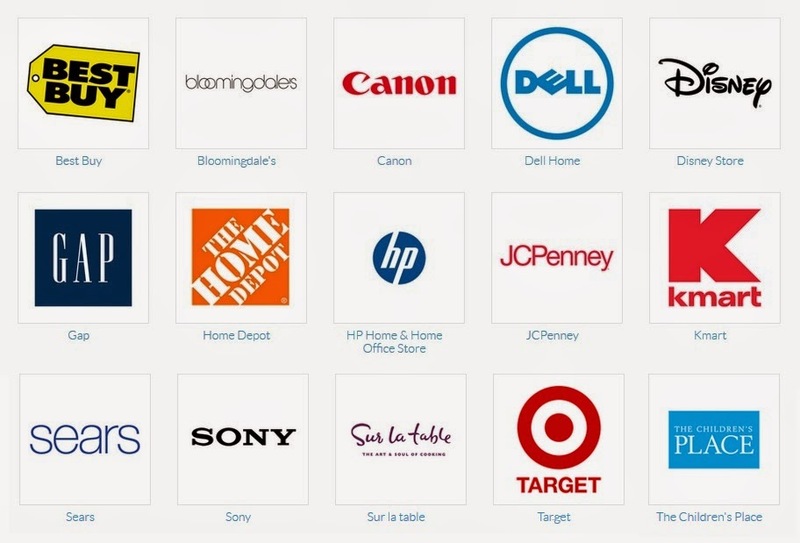 By simply creating a free account (which is completely optional) and connecting it with Facebook, Savor is able to learn more about the brands and stores you like so that they can provide you the most relevant offers. You can adjust your favorite categories at any time and tailor your savings catalogs to update you when offers are about to end or a new one has just popped up. No worries if you prefer to keep your Facebook page not connected to the app, as you're welcome to do that as well! When it comes to shopping, Savor's user-friendly interface makes it extremely easy to check offers whether you have a specific item or store in mind or you simply want to browse. Start with a category such as Women's Apparel, Toys, Home Improvement or Entertainment and you'll be shown a long list of coupons and offers that are ready to be used within that category. Alternatively, you can start by browsing the HUGE selection of stores that have partnered with Savor to find your favorite, one that you are planning to visit soon or just to see what deals may be happening there. Finally, if neither of those search options seem quite right, Savor also gives users the option of simply selecting Best Deals and jumping right to the very best of current offers. 30% off at Old Navy? 10% off from Little Tikes? Don't mind if I do! Whether you prefer to shop on your computer or on your mobile device, Savor makes it quick and easy to know that you're saving money on all of your purchases. You can even start shopping on one device and finish it on another thanks to the available iPad and desktop applications! But, wait, there's still more. In promotion of their new iPad app release, Savor has just launched a great sweepstakes that you're not going to want to miss. Every 100th person to sign up for Savor (either online or via the iPad app) will receive a $25 gift card to the retailer of their choice! Every 500th person to sign up for Savor will receive a $50 gift card to the retailer of their choice! Every person who signs up for Savor between between today and April 30th will automatically be entered into the grand prize sweepstakes drawing to win a $500 gift card to the retailer of their choice. As a bonus, participants can also receive up to 20 extra entries by referring their friends to sign up for Savor (one extra entry per friend that signs up, up to 20 friends). Then you just have to kick back until May when winners will be notified by Savor as well as announced on Savor's social media pages! 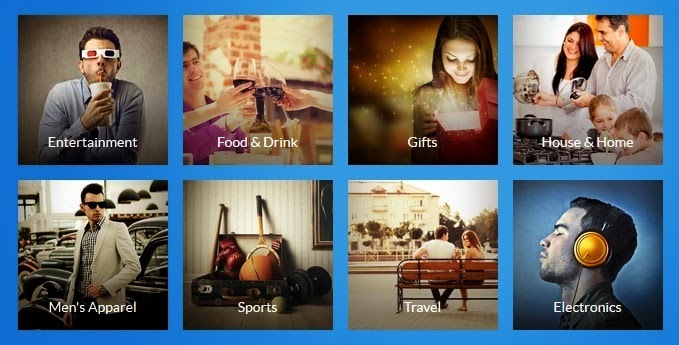 The app is free, it saves you money, and it could win you $25, $50 or even $500! What are you waiting for? Go visit Savor today! 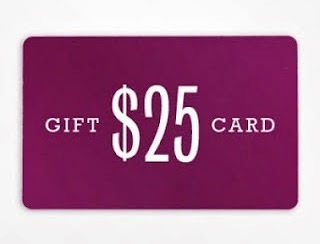 One lucky person will win a $25 gift card to their retailer of choice, as long as they are a partner of Savor (examples include Kohl's, Target, Best Buy, Macy's, Lands' End, Gap and many more)! 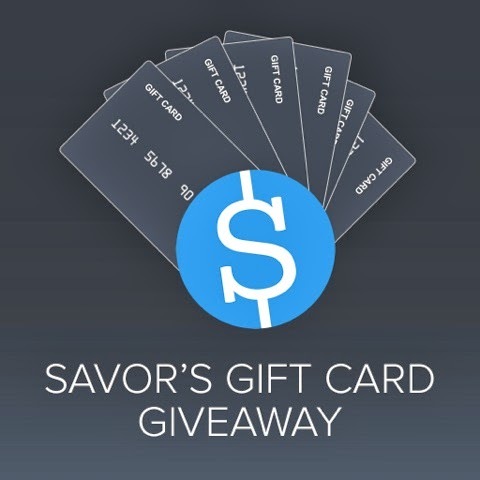 A big thank you to Savor for providing a $25 gift card for one lucky giveaway winner. The opinions shared are my own and honest and if you really need to see more, click here to see how I roll. I'd choose the Target gift card. There are many great stores but perhaps I would put it towards Nordstrom. I would probably pick somewhere I shop a lot like Target, Petsmart, or Walmart. I'd go with a Target gift card! So many stores I shop at regularly. I would choose JC Penny. I would probably choose Kohl's! I'd go with Home Depot since we're redoing our bathroom and I'm there all the time. I'd have a hard time choosing! My top two contenders would be Target and Kohl's, because at both of those places, twenty-five bucks would go a long way. Force me to choose, though, and I pick Target. Target would be my choice. I would choose Target, love that store! I would do Best Buy. I would love Home Depot. Thanks so much. I would most definitely pick Target! I could use a giftcard to Target! I would choose Target. Thanks! I would choose the target gc. I'd choose a Kohl's giftcard. I'd choose Nordstrom- my all-time favorite store! Thanks! I would choose Target, thanks. I would choose Target. I could buy anything for the house, my grandsons or groceries there so it would be an ideal place to have a gift card to. I would choose Target. Love to shop there! I would choose Home Depot to get some gardening things. I would choose Eddie Bauer. No wait, maybe Mattel, or Old Navy. It would be a hard choice…lots of good ones to pick from. I shop at our local Target all the time so I would choose Target. I would pick Target since we shop there so often. Target would be best for me. Shop there often. I would love a Kohl's gift card. I would choose Kohl's because I have yet to shop there but I want to. I would choose Macy's so I am forced to buy myself something! I would choose Target for my card of choice. I'd pick a Target gift card. I would choose a Target card. If I won, I would choose a Target GC. If I won, I would choose Kohl's. I would pick Macy's, love Macy's. I would pick Target or The Children's Place. Kohl's is where I would choose , lots of awesome places to pick though ! I would definitely choose the target gift card!! I would like either Best Buy or Amazon seeing as they have all my favorite stuff, in one place! I think I would pick Target or maybe Gymboree! Hi! What a neat site! The company I would choose is Macy's. Thank-you! I would choose Bed Bath & Beyond, or maybe Target. I would definately choose Target ! I would choose the $7 off of $35 purchase for David's Cookies. For the Gift Card, I would choose a $25 Gift Card To Target or Starbucks! Old Navy. It's time to stock up on summer tank tops! I would choose Target. I love shopping there with my family! I'd like a Target or JCPenney gift card. I would choose Target. Love it! I'd choose Nordstrom - and get something for myself and our little one! I would choose the Target card. I would choose the petsmart, cause I kind of spoil my dogs. I would probably choose Kohl's. I think I would choose Target, but there are so many great options! I would choose Target for my winning gift card, thank you. I would choose Target card! I love Target. My favorite store! We spend a lot at Target. I would choose the Target gift card. I spend a lot of $$$$$ at that store! I would choose Target. They have a little bit of everything that I need! I would choose either forever 21 or sephora! I would prob choose either Target or Sephora. Id choose Home Depot or The Childrens Place. Bed, Bath and beyond would be my first choice. We recently moved and still need some things. Thanks. I'd choose a Target gift card. Thanks for the chance to win! It's hard to decide on one. I would definitely use Target. I would like the Target card. I'd pick Kohl's my favorite place to shop. I would chose Sears, since I'm stockpiling tiny wins from their Shop your Way program, and every little bit counts. If I were to win the giveaway, I would choose a gift card from Target. If I won, I would pick the Home Depot card to buy some spring flowers for the yard. I would definitely go with Target!!! They certainly have a huge selection of retail stores! If I won, I think I'd choose Kohl's! target or old navy for me! I'd like a Kohl's GC. I would choose Target! I love Target! I would probably choose Target since that is one of the main stores I shop at. I would treat myself to Pier One. Love that store. I would choose the Kohl's Gift Card. It's hard to choose! I might go for JC Penney. I'd like a gift card to Target!